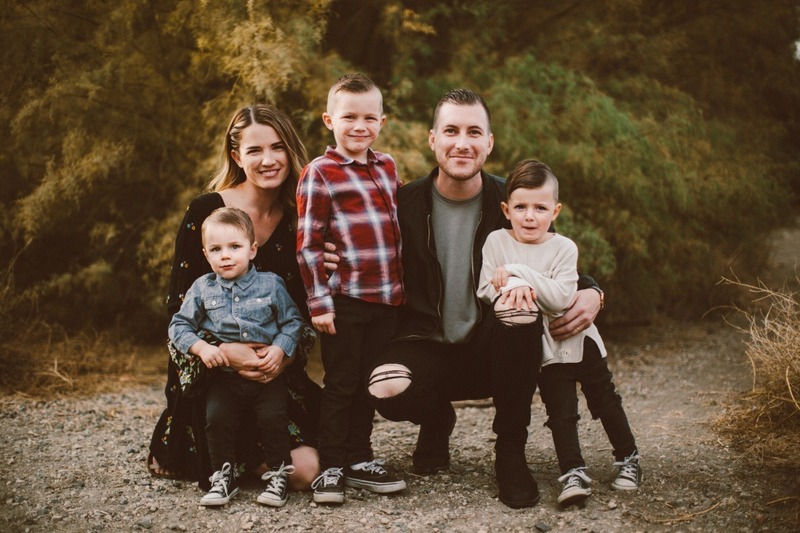 On August 25, we lost Andrew Stoecklein, Lead Pastor of Inland Hills Church and beloved husband, father, brother, and son. Andrew tragically took his own life after a difficult battle with anxiety and depression, and the Stoecklein family, church community, and lives he touched around the world are mourning his loss. So many of you have expressed a desire to support Andrew’s wife Kayla and their three young sons. Launched and managed by the #careforkayla team of Stoecklein family friends and Inland Hills staff, this campaign will provide education costs for the boys, day-to-day expenses for Kayla, and financial security during a very difficult season. Andrew bravely confronted the topic of mental health in his last days, shedding light on illnesses that aren’t widely discussed in public or in the worldwide church. Kayla is committed to continuing his story by honoring the man he was, while calling for greater support for pastors in the burdens they carry. It is by their example that we can praise God and provide for their family in the midst of grief. 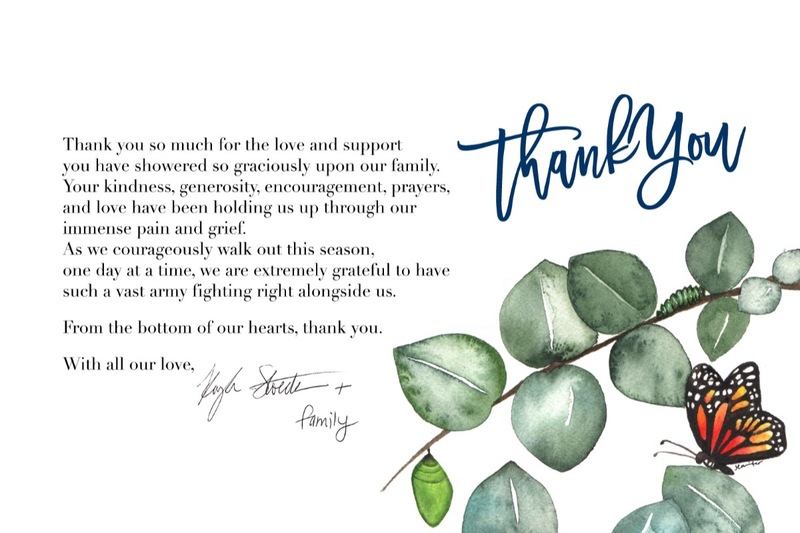 We appreciate positive comments below, sharing #careforkayla on social media, and following Kayla’s blog at godsgotthis.org, as we trust God to turn unspeakable loss into healing and blessing for a greater number of people. We’re overwhelmed by gratitude for the support given to Kayla and the boys. Thank you for giving of yourselves to provide for Andrew’s family! There is a powerful story unfolding in the Stoecklein family—follow godsgotthis.org, and @_godsgotthis on Instagram, and be inspired by their willful choice to love God and share His real, nourishing hope. Every now and then, we revisit Drew’s memorial service on Youtube, to remind us of the stories and the truth that shaped Drew’s life. It’s part of walking through grief. It’s cleaning and tending to a deep wound. It’s believing boldly when maybe it’s easier not to. We’re receiving a faith where no loss, under any circumstance, can overcome who God is and what He is doing. And on behalf of the Stoeckleins, we thank you again for making generosity part of this story! Please invite others to join in. you have showered so graciously upon our family. such a vast army fighting right alongside us.